Unlike other classics on the list of favorites, Charlotte’s Web appeals to all ages, thanks in part to White’s precise and tender language. Here’s how Charlotte describes summer’s end and what will follow near the book’s end: “These autumn days will shorten and grow cold. the leaves will shake loose from the trees and fall. Christmas will come, then the snows of winter. You will live to enjoy the frozen world . . . Winter will pass, the days will lengthen, the ice will melt in the pasture pond. The song sparrow will return and sing, the frogs will awake, the warm wind will blow again. All these sights and sounds and smells will be yours to enjoy, Wilbur — this lovely world, these precious days. . .” Poignant words, especially since Charlotte will not live to see the coming seasons. At PBS LearningMedia you’ll find a wonderful resource, The Message of Charlotte’s Web: The Great American Read about how E. B. White’s story of unlikely heroes on a small farm has made a lasting impact on America. You and students can hear school children in Brooklin, Maine thoughtfully explore the book on E. B. White’s very own farm where he wrote Charlotte’s Web. 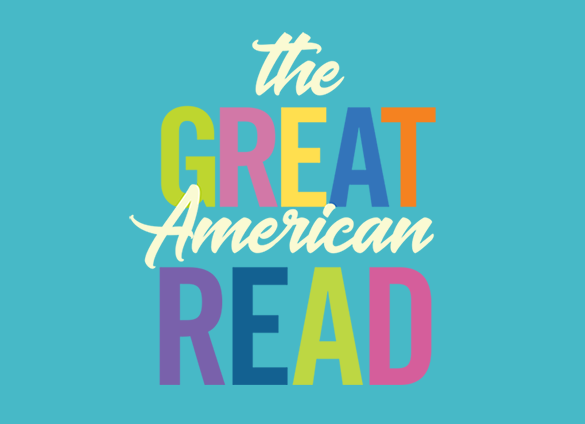 You’ll also find many other PBS LearningMedia resources that explore why specific books are worthy to be included in The Great American Read.